An engagement is the first step towards establishing your relationship with your loved one, the first milestone that unites your hearts. It is a day that every woman has always dreamt of, that will be cherished in memories for times to come. Being the centre of attraction of the event, one would definitely want perfection from head to toe, and be the photo perfect you. After all, the guests from both families would have their eyes glued to the pair throughout the event. After choosing an attractive attire, your next focus would be the hairdo. A hairstyle has to be carefully chosen to suit and highlight the facial contour, keeping in mind current trends in fashion and your attire. Buns are the most trending hairstyle, being the most manageable especially in summers and a glamour required for the occasion. Let’s take a look at six uber-cool bun hairstyles that you may love to grace for your engagement. The young Indian lady donning a lavish saree with her hair neatly brought together into a low bun is indeed a classy appeal. 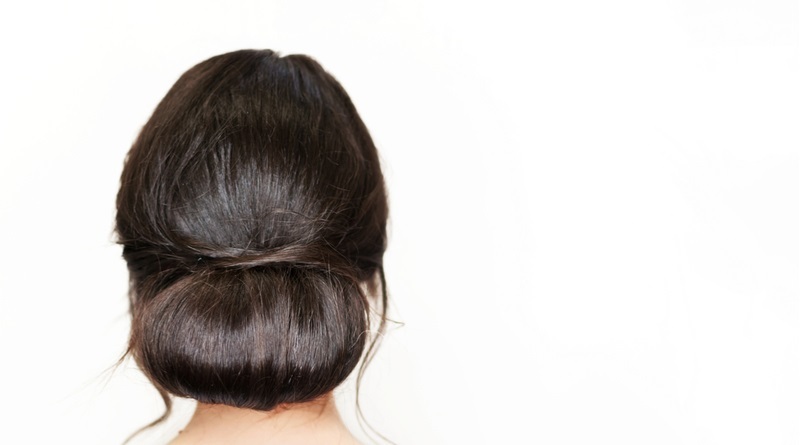 This super-easy bun is the best choice for a simple engagement party. The crown area may be centre-parted and decorated with a maang teeka of your choice. Alternately, a side partition pinned loosely will go well for an oval face. 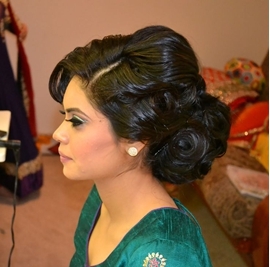 This beautiful hairstyle would definitely be a good choice if you are not intending to spend much time with your hair. Accessorize it with fresh flowers to complete the look. 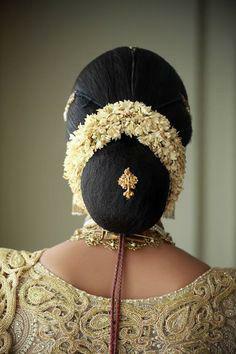 This south Indian style bun has not lost its charm over centuries. It is a beautiful twist to the classy low bun. Just pin up a jasmine garland to give yourself the gorgeous traditional look. As you pair it up with a luxurious kanchipuram silk saree, you are sure to steal away the heart of your man at a single glance. Accessorize the centre of the bun with a brooch or keep it simple, the choice is yours. Are you the contemporary young lady who would never go the traditional way? This donut bun is especially for you. It is sure to pair well with an off-shoulder gown to give the sophisticated and dynamic look you always wanted. It is simple to make and easy to carry as you don’t have any strands flying over the face. Accessorize yourself with a pair of long diamond studded earrings to add glamour to the overall ensemble. Many a times, Bollywood and Hollywood stars have graced this style at the Oscars. 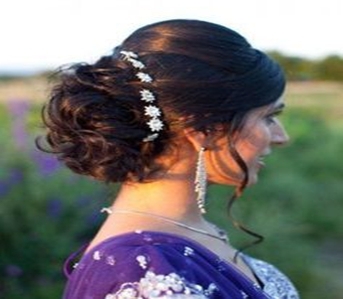 This versatile bun can be done in numerous ways and all look extremely classy. Simple yet intricate, this style is can be worn with any ensemble of your choice and suits any face contour. Go for this style if the engagement party is planned in a banquet and you are sure to make a fairy-tale entry as you enthrall those present and make delightful memories for a life-time. This style is a rage among young girls who love the soft strands fluttering around evading a sensuality that sparks the occasion. A messy bun can be easily done with all hair lengths. This style is most suited for a long, narrow face as it adds a subtle volume to the overall look making the face so very photogenic. 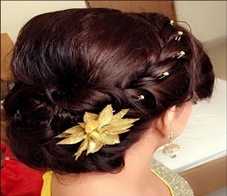 Make the occasion historical and be a trendsetter as you don one of your choicest hairstyles. Your captivating smile and sheer confidence will definitely take it to the next level. All the best! !